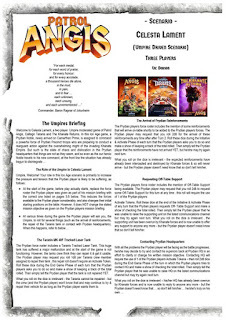 It is my delight to present a Patrol Angis scenario for free download written by Vic Dobson. It is called Celesta Lament and it is rather unusual as it is our first published umpire driven scenario featuring a Prydian Player and a Khanate Player alongside a third to oversee. 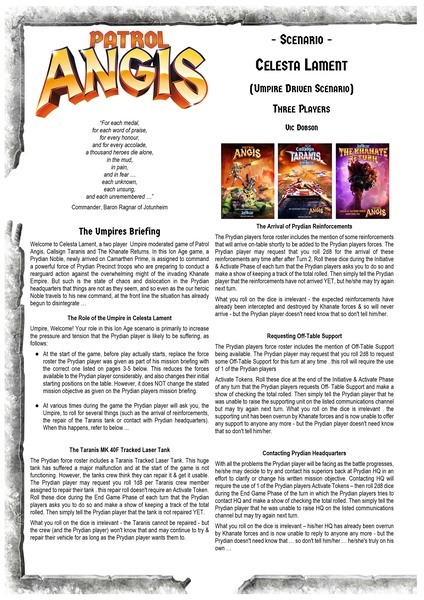 The free PDF is hosted on our website and in its pages it is split into three parts and each of the players should only look at their own relevant part to keep the adventure fresh. 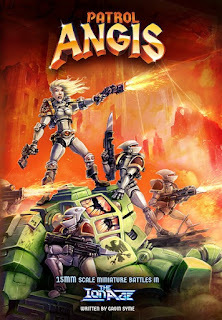 You will need all three of the Patrol Angis books in order to play this tense scenario. Click HERE to download the five page PDF. Well done Vic! 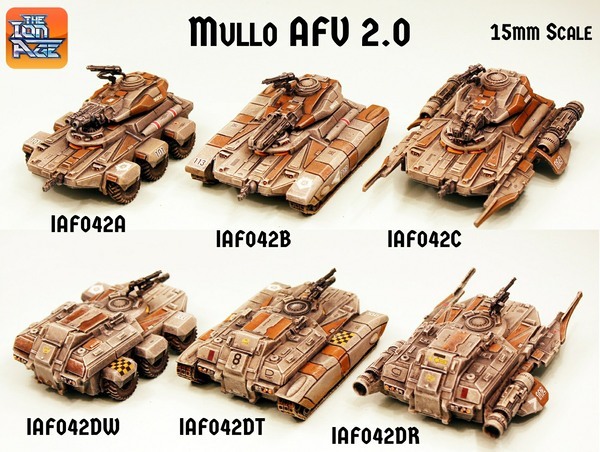 Get yourself some Mullo Armoured Fighting Vehicles (AFV) or Mullo Armoured Personnel Carriers (AFV) the medium vehicle between the Adder and the mighty Taranis. Designed by Sam Croes these vehicles come in wheeled or tracked or repulsar (anti-gravity) variants with the choice of single or buy three save 10% plus an Early Supporter on until the 23rd March. See them HERE. Read the full article about the Mullo on our blog HERE. All this month we have a 25% off normal price offer for you. 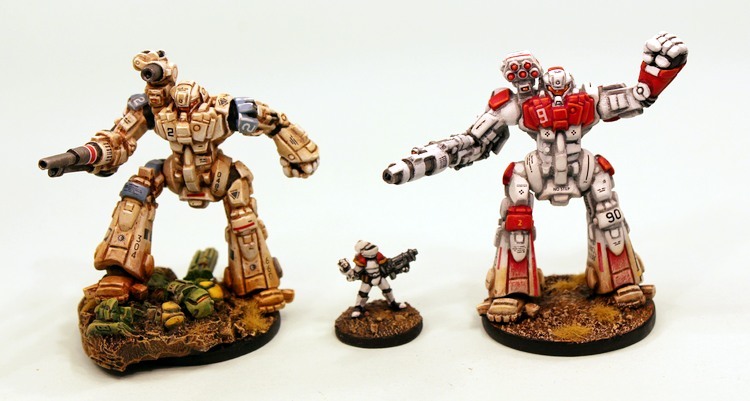 It is a mecha good offer on the IAF128 Afara Strider on all three variants of this light class war walker. Easy to assemble with a degree of pose of its resin parts the Afara stands 55mm tall when built. See it HERE. Rules for the Afara are in Callsign Taranis the expansion to Patrol Angis. Offer ends 1st April 2018. Lastly our stock of printed copies of IAB01 Patrol Angis are sold out! We thank you and we have ordered up a new print run which we hope to have in next week so until that time the game pack and book and bundle are not online. Go to our 15mm Publications page to see all of the Patrol Angis series books in print and as digital downloads as well as free resources.